Mitch’s Mission is a non-profit corporation that raises funds to pay for children with cancer or blood diseases to attend summer camp. 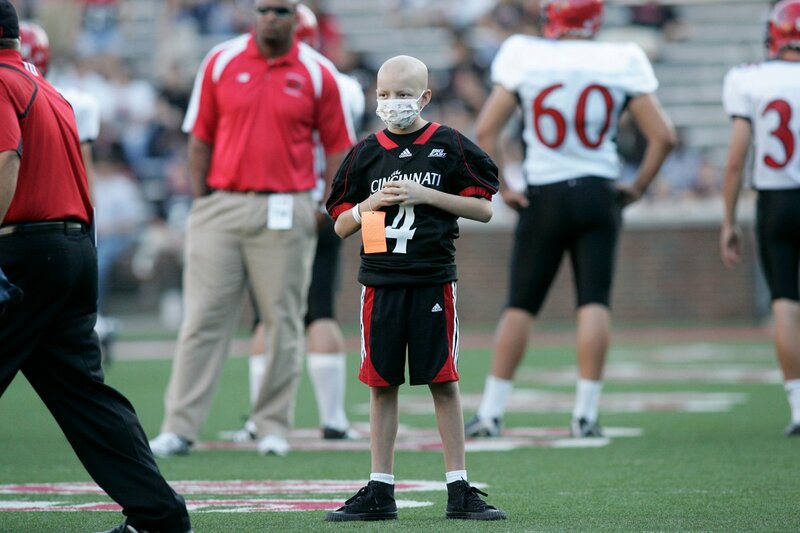 All the children are patients at the Cincinnati Children’s Hospital’s Cancer and Blood Diseases Institute. The Cancer and Blood Diseases Institute holds the camp for two weeks every year at Camp Joy located north of Cincinnati. One hundred patients and a sibling get to experience the joys of summer camp, no matter how medically fragile they might be. Mitch’s Mission grew out of Mitch Stone’s brain cancer diagnosis in February 2009 when he was 11 years old. As a show of support, red, white & blue rubber bracelets were ordered with the words “Mitch’s Mission” on them and given to friends and classmates. Mitch on the field in 2009. 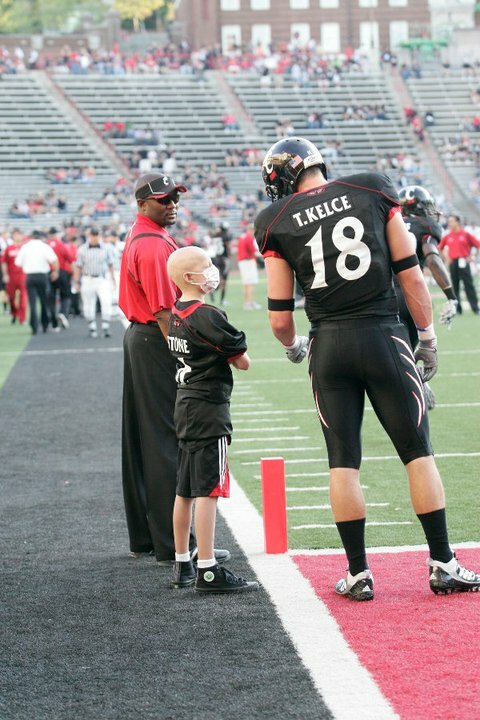 When Mitch was “adopted” by the University of Cincinnati Bearcat Football Team, they also began wearing “Mitch’s Mission” bracelets. Recognizing the special bond between Mitch and the team, UC students and supporters began wearing the bracelets and Mitch’s Mission became a rallying cry for Mitch and UC Football. 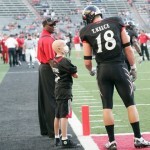 As Mitch underwent his chemo treatments and long stays at Cincinnati Children’s Hospital, he knew the team was behind him. The team was inspired by their “little brother” and gave it their all–both began winning the battles in front of them. 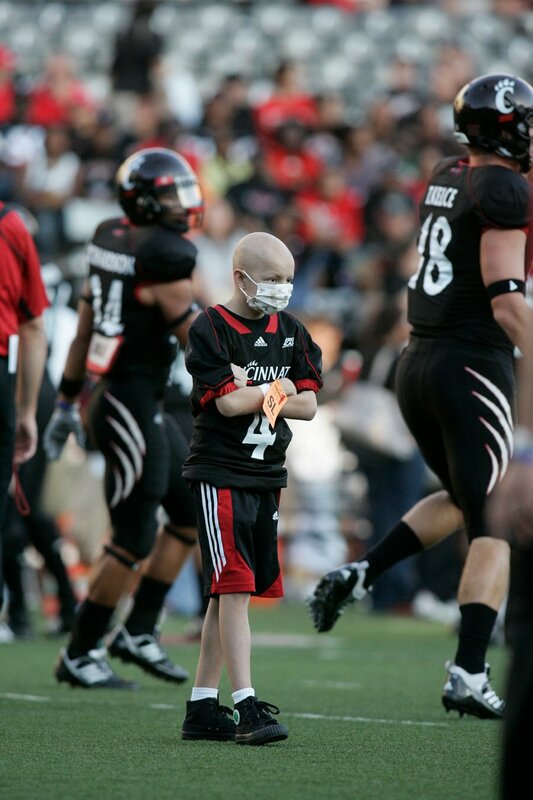 The Bearcats ended the 2009-10 season with a 12-0 record and a trip to the Sugar Bowl, and Mitch was cancer free. The relationship between Mitch and the Bearcats continues today as they team up to raise funds to send kids with cancer to camp. 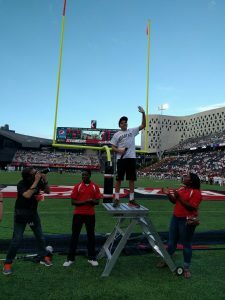 Mitch is a now a student at the University of Cincinnati majoring in business. He is a huge Bearcat fan. Register for Playdate with the Bearcats! © 2011-2013 Mitch's Mission. All rights reserved.